The French subsidiary of the Officine Maccaferri Group, have recently completed a significant ravinerehabilitation project in Congo-Brazzaville. Land-clearing and deforestation lead to the weak sandyalluvial soils typical of the region, vulnerable to hydraulic erosion. This can be so extensive that theravines can be up to 100m in depth. Maccaferri’s reinforced soil system, Terramesh was selected as it offers great flexibility withstrength; important characteristics in these conditions. It can accommodate large differentialsettlement without sustaining damage. The structure consisted of a series of 4 walls between 9 and10m in height. Simple and cost effective to construct, the Terramesh system was installed by localcontractor Andrade Gutterez / Zagope Congo. Terramesh features a gabion fascia unit with an integral woven steel wire mesh geogrid ‘tail’ ontowhich structural backfill, is compacted, reinforcing it. The high loads and height of this 37m structurerequired additional soil reinforcement in the form of 200 and 300kN/m Paralink designed into thestructure, to work in sympathy with the Terramesh. Paralink is a unique high strength geogridmanufactured by Linear Composites, a Maccaferri Company based in the UK. Where erosion shear forces were lower and no structural retention was required, vetiviertechniques were used to provide appropriate and cost effective erosion protection and surfacestabilisation. 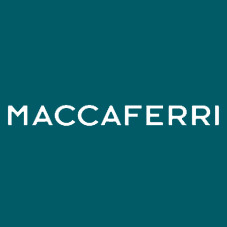 This project is evidence of the increasingly more significant projects that Maccaferri is undertakingaround the world to tackle environmental problems.